In book #2 of the Morus Chronicles Ethan, a 13 yr old boy, learns he has magical treasure hunting skills. Ethan is a bit of an anomaly and his new-found abilities present a conundrum to all involved. His family tries to blend in by sending him and his sister to a public school where life for Ethan is similar to that of other teens, including encounters with bullies. But when his homeland is threatened by a struggle between the powers of light and darkness he must discover and then obtain an unknown treasure. When the dark forces threaten to destroy his family and his mother is kidnapped it’s up to Ethan to come to the rescue. J.R. Roper has created an exciting read with a well developed cast of characters and strong role models. Readers are treated to loads of action and adventure in this book in which fierce battles are depicted in an age appropriate, non-graphic manner. 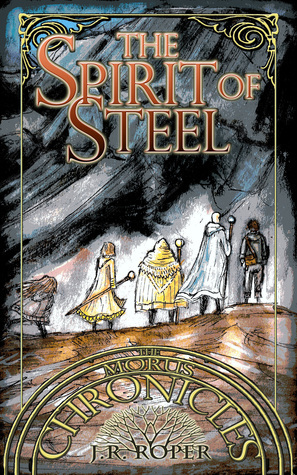 The Spirit of Steel is a terrific work of fantasy fiction with enchanted places and magical travel, bringing the thrill of this epic tale to life. This book will appeal to readers of all ages and has earned the Literary Classics Seal of Approval.